Election Commission of India released remaining training schedule for the elections to House of Parlament. The second election training for P.Os and APOs will be on 01.04.2019 and 02.04.2019 full day sessions at their allotted Assembly constituency Head Quarters. 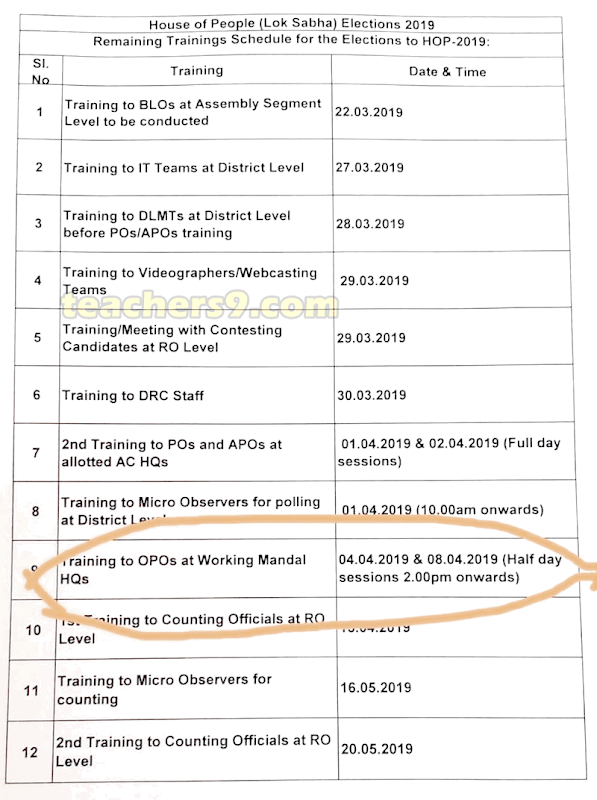 The Election training for O.P.Os/OPOs will be on 04.04.2019 and 08.04.2019 half day sessions starting 2.00pm onwards at their working Mandal Head Quarters.